Originally from Moscow, Russia, Katusha has won every major Championship in the world with her partner Arunas Bizokas. Katusha is also the co-organizer of Balera’s yearly event, the Bay State Festival. Basil came from St.Petersburg, Russia, dreaming of competitive ballroom dancing as a career. Having chosen New York as his new home, he fulfilled his dream of being able to have lessons with the best coaches of the US and of the world. His very first year saw him winning the under 21 Ohio Star Ball Championship, and becoming a Bronze National Medalist, consistently making finals of National Championships. In 2006, Basil turned professional and achieved great results both in the national area and international arena. In 2007, he became the Arthur Murray Professional Standard Champion and the Norwegian Professional Champion and representative to the Worlds. In 2012, he made finals at the International Rising Star Championship in London and in Professional Standard at the Ohio Star Ball Championship. In 2013, he placed first in many competitions nationwide, including Michigan Dancesport Challenge, Virginia State, Maryland Dancesport, and Eastern Dancesport Championships in Boston, MA. In addition to a successful professional career, Basil has distinguished himself as a top ballroom instructor in the Boston area. His excellence in teaching has shown through the many successes had by his students in top national competitions. Liene came from Riga, Latvia pursuing a dance career. She was undefeated National Amateur Champion for three years straight. After turning pro, Liene quickly moved up to the elite of the ballroom dancing world and won numerous competitions in the USA, and was a consistent finalist at the National Championships, winning a Bronze medal in 2007 and representing the USA at the World Championships. Included in her top achievements are: Runner Up at the Rising Star Blackpool Dance Festival, winner of the Rising Star UK Open, semifinalist at the Blackpool Dance Festival, and semifinalist at the World Championships. Additionally, she has had the great success of winning the Professional Standard event at the Ohio Star Ball Championship in 2005 and again as finalist in Professional Standard at the Ohio Star Ball Championship in 2012. 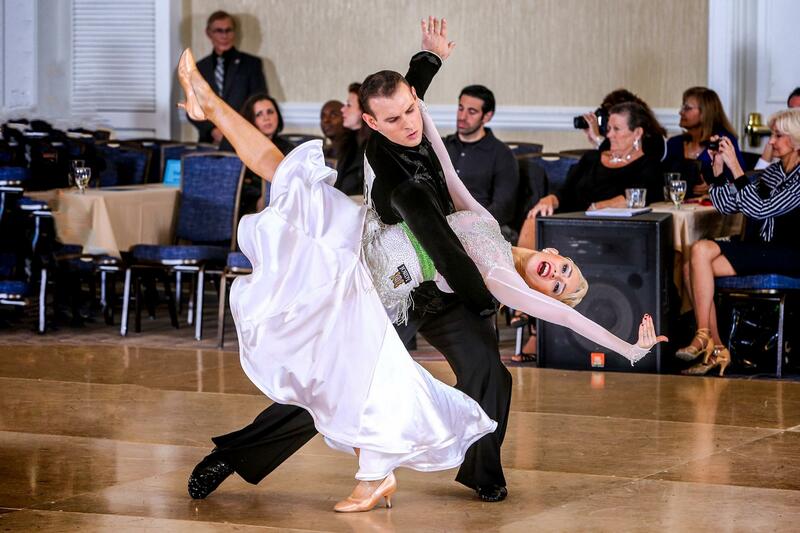 In 2013, Liene placed first in many competitions nationwide, including Michigan Dancesport Challenge, Virginia State, Maryland Dancesport, and Eastern Dancesport Championships in Boston, MA. In addition to a successful professional career, Liene is a full-time ballroom coach and is considered one of the top female ballroom instructors in the United States. While competing as an Amateur and in Pro-Am, Ryan was a two-time US and World Finalist in Open American Smooth with his instructor, Larinda McRaven. In 2009, Ryan turned professional and has been busy teaching ballroom since. 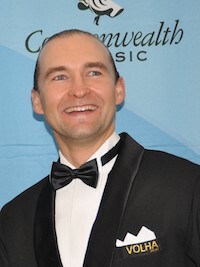 Ryan currently coaches the Clark University Ballroom Dance team and has been a judge for local collegiate ballroom dance competitions.In the past, Ryan worked as an instructor at American Ballroom & Latin Dance Studio and Studio One and taught ballroom dance to student at the Trudeau Center, the Wheeler School, Bain Middle School, Wheaton College, and UMASS Lowell. Last year, Ryan and his wife Laura began competing professionally together and they are very happy with their results including a finalist position in open professional smooth at the St Louis Star Ball and Dancing A La Carte and a second place finish at Tulip Classic in Canada. Artsiom and Volha are professional ballroom dance instructors at Balera. They have been dancing together for 18 years, first as an Amateur couple and currently in the Professional division. Since 2004, Artsiom and Volha have been performing in many shows in international locations, such as Belarus, Ukraine, Russia, and Malaysia as well as on prestigious cruise ships, such as Queen Mary 2 and Cunard. The past three and a half years, Artsiom and Volha have been living, teaching, competing, and performing in the Boston area. Artsiom and Volha’s specialty is International Latin, but they also teach other ballroom styles, such as Standard, Rhythm, and Smooth. Volha is specialized in choreographing and teaching wedding dances. She also has a passion for costume design and is the owner of Volha Dresses. Her designs are for sale at Balera and she performs custom designs by request. Originally from Ukraine, Anna started dancing at the age of 6 and continued on her creative streak by completing the School of Ballet and the School of Music. In later years Anna discovered and fell in love with ballroom dancing and hasn’t stopped since. Currently she is competing with her partner in American Rhythm Professionally. However, she does not only share her love of dance when she is on the competition floor but also as an instructor by teaching adults, as well as, children. She is a strong foundation-oriented coach who strives to teach solid dancing principles while allowing for the discovery of personal expression.